Angel Bay Crafting Hearts: FINAL REMINDER . . . July's AWESOME deals . . . 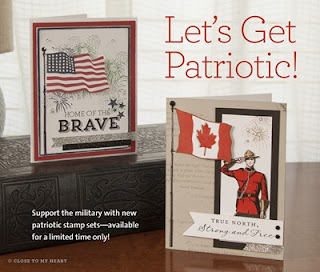 These FANTASTIC patriotic stamp sets are only available for a few more days!!! recognized military-support and services organization in the country. 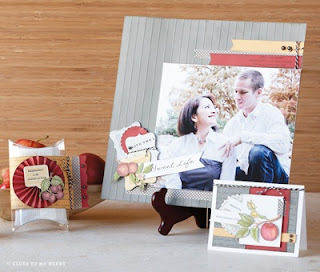 Show your support today—stamp style! I'm thrilled to be a part of this wonderful company and this GREAT campaign! or more. Jump-start the fun by ordering the items from the list below to create this artwork! You’ll find helpful assembly tips at my Online Business Address under Promotions. 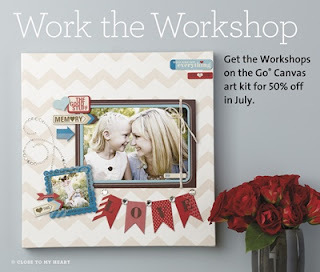 Get the discounted Workshops on the Go® canvas art kit in July—no qualifying purchase required! From July 1 to July 31 you can get this trendy kit to create your own canvas art to hang in your home, regularly priced at $39.95, now discounted to $19.95—more than 50% off! Take papercrafting to the next level with this adorable home décor piece that you can display for all to see. Visit my website for details on all of these great items!